This entry was posted in Project 366 and tagged guitar, Instagram, musician, photography, project 366, son. Bookmark the permalink. 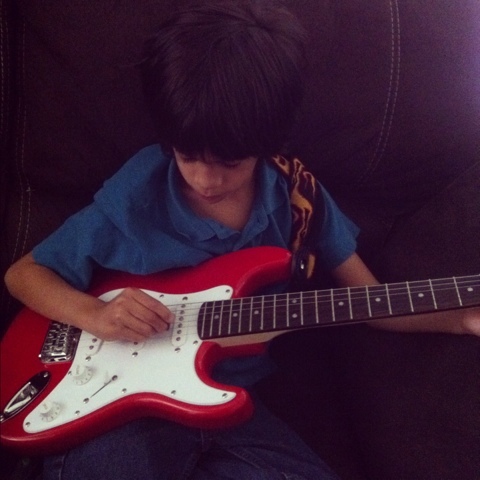 I took a similar photo of my youngest playing guitar and almost posted it a couple days ago. It’s cool when a kid gets into a project or something and can tune out the world. You captured that in this photo. Thank you, getting candid pictures of kids can be difficult.